so... i know easter is long gone until next year. but i still wanted to share this incredibly fun idea we did this year. and EVERYONE says they can't wait until next year. 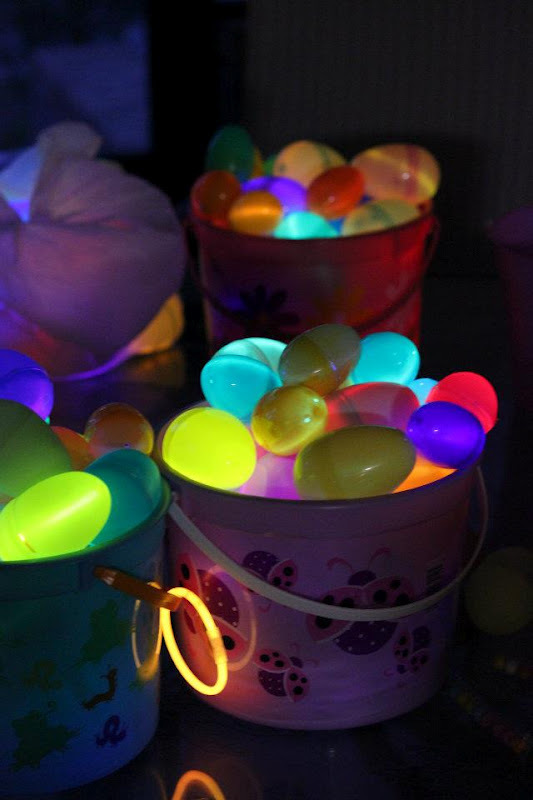 we had a glow in the dark easter egg hunt. & we bought pizza to feed the littles while we stuffed eggs. -the best eggs were the BIG ones from big lots & walmart. -get small-ish candies, too big & you won't have room for the bracelet. in the end it took us longer to stuff the eggs than it took for the kids to find them. but every single kid LOVED it. even the parents were excited with the glow in the dark eggs! than in the 90 degree, full sun heat that leaves them boo-hooing when the crack open their egg to a mushy chocolate mess. the ONLY down side is it's a little difficult to get cute egg-hunting pictures. 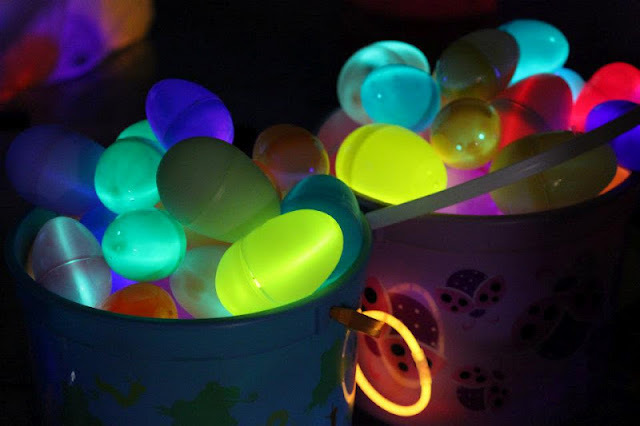 we are most definitely having a second annual glow in the dark easter egg hunt next year. the dude is already asking for it! You are so creative Kristy! Such a fun mom!